The small town of Holar in north central Iceland is nestled in a valley of fjords and mountains. Rising from the valley is the gorgeous Church of Holar, an ancient Catholic Diocese. 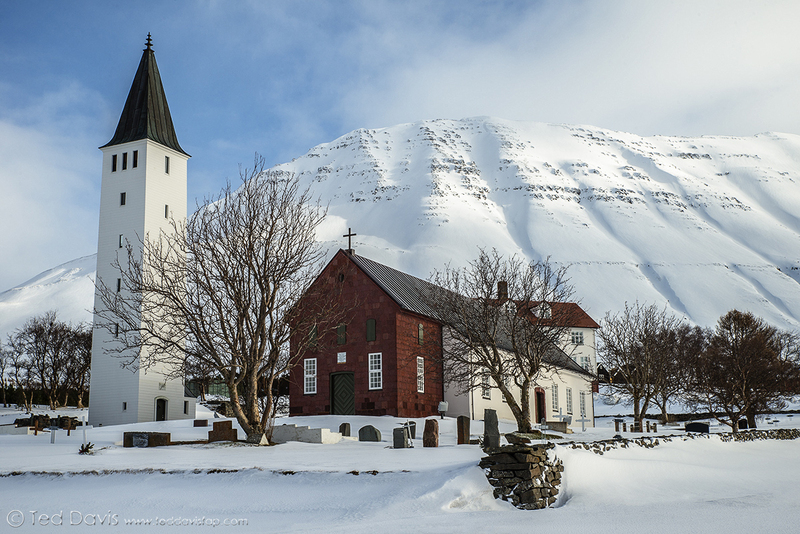 With snow covered peaks, icelandic ponies running free, and a fresh dusting of snow in the church, I fell in love with this town and this shot. Photo © copyright by Ted Davis.